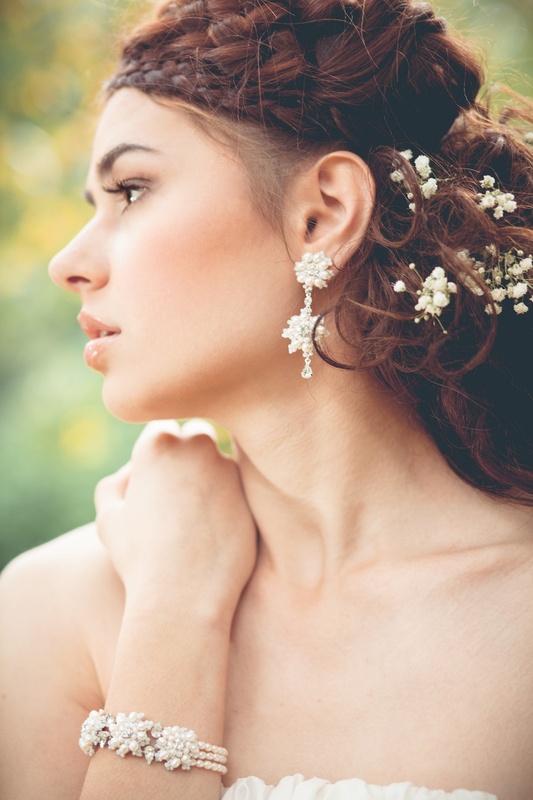 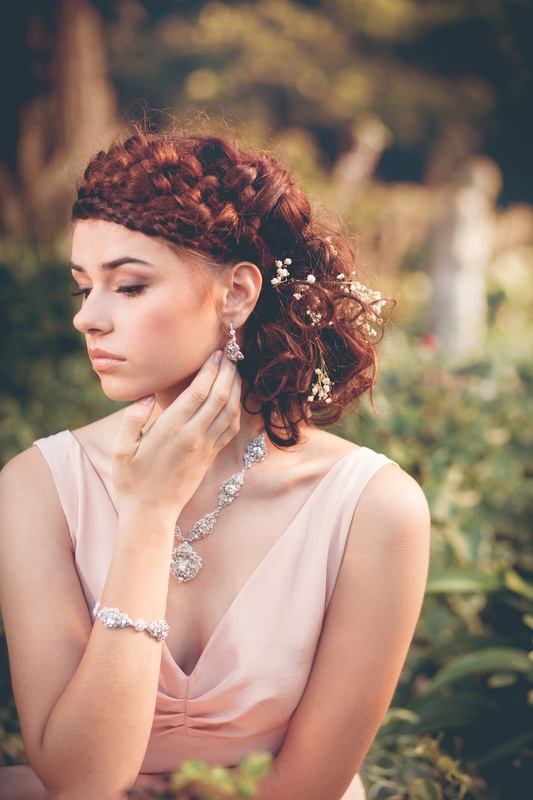 The Woodland Goddess Collection was inspired by Grecian mythology, goddesses, dryads, and other woodland spirits. 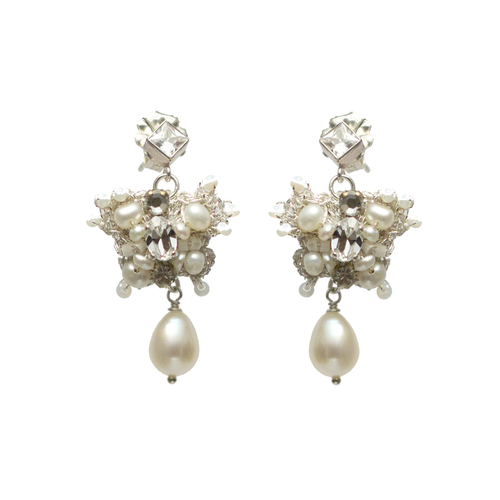 From tiny butterflies, to flowers, leaves, and seashells, the collection draws inspiration from nature. 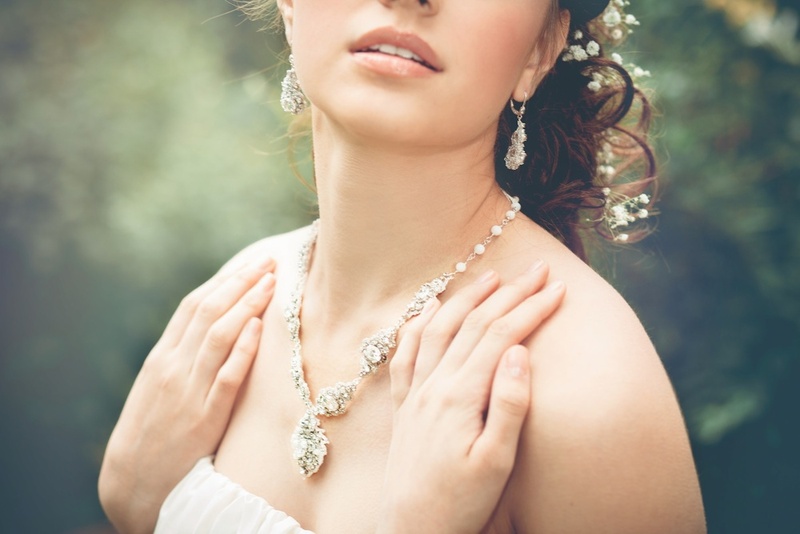 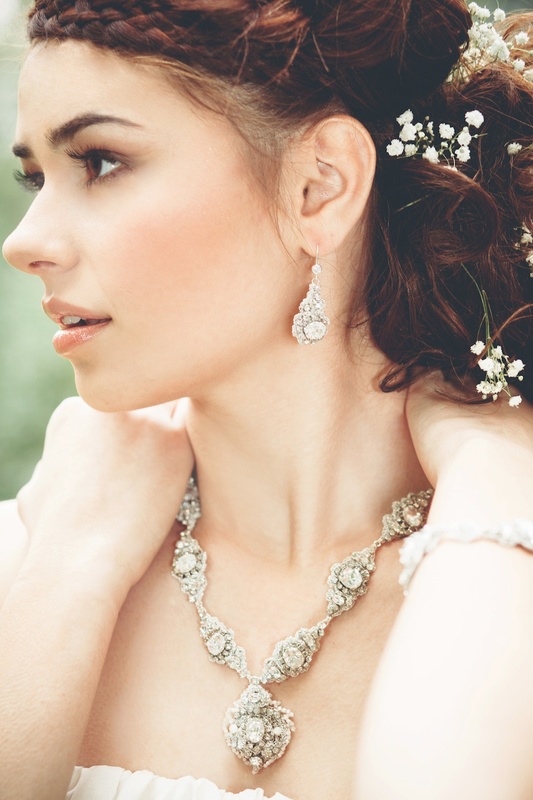 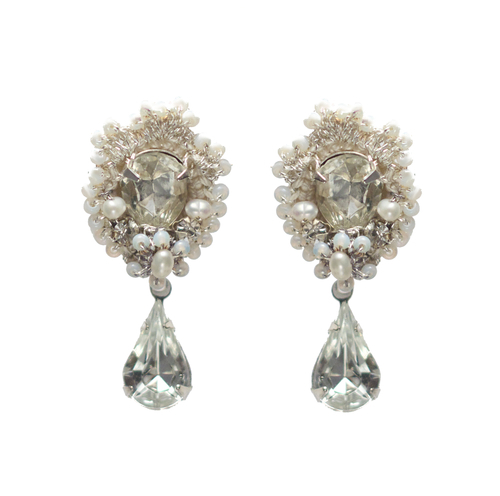 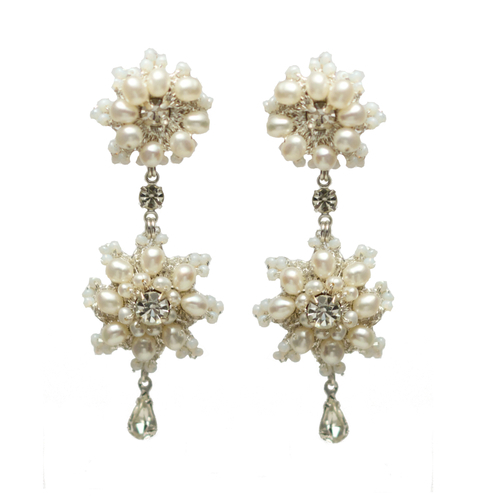 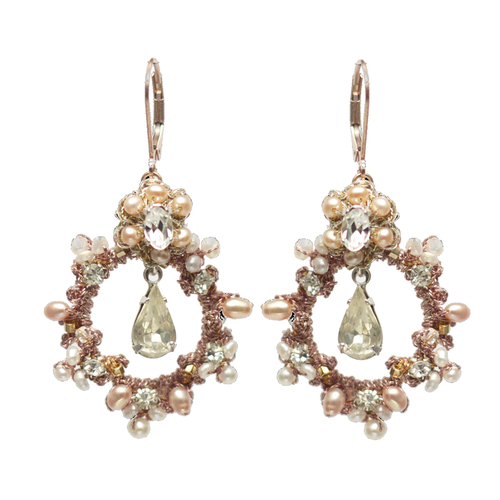 The designs feature handcrafted lace motifs, semi-precious stones, freshwater pearls, and vintage crystals.